As the title suggests. 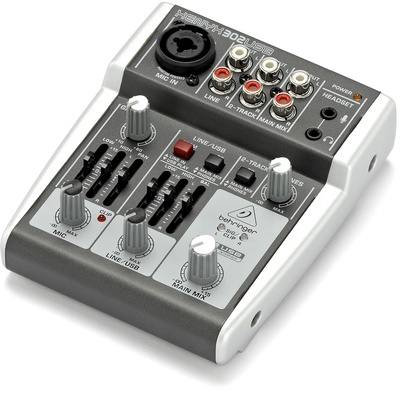 I'm looking for a recommendation for a cheap mic and preamp to use for podcasting. I was thinking my budget would be around $200 but it's been a long time since I've kept up with mics and preamps. I use "great value for $" but not $200. I use the Focusrite 2i4 (~$200) and an Audio Technica AT2035 (~$150). It is a LOT better than it needs to be for podcasting. But it works well for video narration and voice over work. Just checked prices on that combo and it's at 350. You asked about mic & preamp. I based my first answer on that. The Focusrite 2i2 is about $120 and is just as functional for podcasting. If you are willing to go straight to the computer, look at the Audio Technica AT2020 USB mic, and the Blue Yeti USB mic. No actually I'd rather go through a mixer. I stumbled upon the ART usb because of price however it does have a TRS out as well. I'm going to check out the 2i2. Thanks. You can save some more if you go for the Steinberg UR22 instead of the Focusrite 2i2. It is cheaper and has richer features, but not the name on it. I have one and it's superior! However going for something like the UR22 + AT2020 or even RODE NT1a (my choice) might be a bit overkill. Those are studio grade equipments, which is nice to have maybe, but you also have to pay for it. I personally don't have great experience with USB mics, but others definitly do. Maybe it's because my first USB mic was just 60€ ;-) So if you have a music store with money back guarantee in your town why don't you try a USB mic like the AT2020 USB. This is what for example Sadowick (a very popular producer on reddit and YouTube) uses as well and he definitly has no humming or noise like I did. I am always looking to refine any recommendations for others....so I hope you will answer a couple of questions. I just checked amazon, and both the UR22 and 2i2 have the same $150 price point. At first glance there are no obvious feature differences. What are the differences between the two units? Have you heard both units, if so, can you comment on the relative sound quality both recording and playback? I can not speak to the sound quality of either, but I have the Focusrite 2i4 and the overall build & sound quality is more than adequate. Gonna throw the Behringer Xenyx 302 USB into the mix. Sound Quality is pretty darn good, I've attached a 320kbps recording through the Mixer from decent external audio source (DDJ SR) and into Audiacity. There's 4 or 5 seconds of silence before I hit play so you can check how it sounds with dead air. Last edited by deevey; 08-05-2014 at 08:20 AM. I bought one of those Behringer mixers second-hand and it was basically not usable unless you want some more noise in your mixes. However the mic I attatched was not best either, but I used the mixer section as well with inputs that were 100% fine and there was a lot of noise as well. So... it can work and I know it does for some people but obviously the quality of those things varies. Maybe I was just unlucky or the pre-owner did not treat that thing like he should. Concerning the 2i2 vs UR22: The UR22 has MIDI I/O, 192khz and a input/DAW-mix knob for the monitoring. The 2i2 has no MIDI I/O, 96khz and no input/DAW-mix knob. I have not heared the 2i2, but it's precessor and the sound quality of both Steinberg and Focusrite is great. So the differences are not too big, but there are some, which lead me to the UR22. However the price seems to be only different in this part of the world (Germany). Here the UR is 120€ and the 2i2 is 135€. That's not too much of a difference, but still about 10%. Thanks all for the info. In the end it came down to money. I'm going to use the mic for my mixcast and turn it into a podcast. I didn't want to spend too much.I'm just trying this out. I bought an MXL 770, the Behringer 302USB, desktop tripod and a wind screen pop filter.